5 pieces, about 28 lbs. 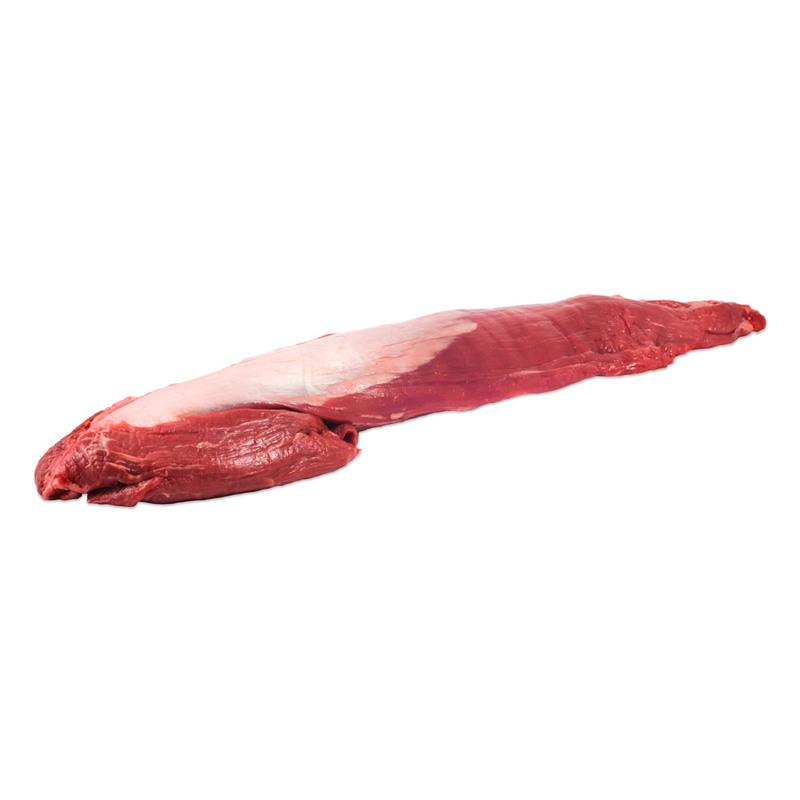 The tenderloin is a long thin muscle located on either side of the cow's vertebrae. Because the muscle is used very little during the steer's life, this cut is exceptionally tender. It is also rather lean. Tenderloins can be roasted whole, but are often cut into tenderloin steaks (aka filet mignon). These whole beef tenderloins are sold with the extra side muscle on, but have been trimmed of most of their surface fat. Store grass fed beef tenderloins in your refrigerator until you're ready to use them. For extended storage, freeze them individually and store them in your freezer in a sealed container with as much of the air pushed out as possible (packed in vacuum bags would be even better). Grass fed beef tenderloins can be roasted whole in a 450 degree oven or sliced into tenderloin steaks. They can be sliced paper thin and served as Carpaccio with lemon & capers. 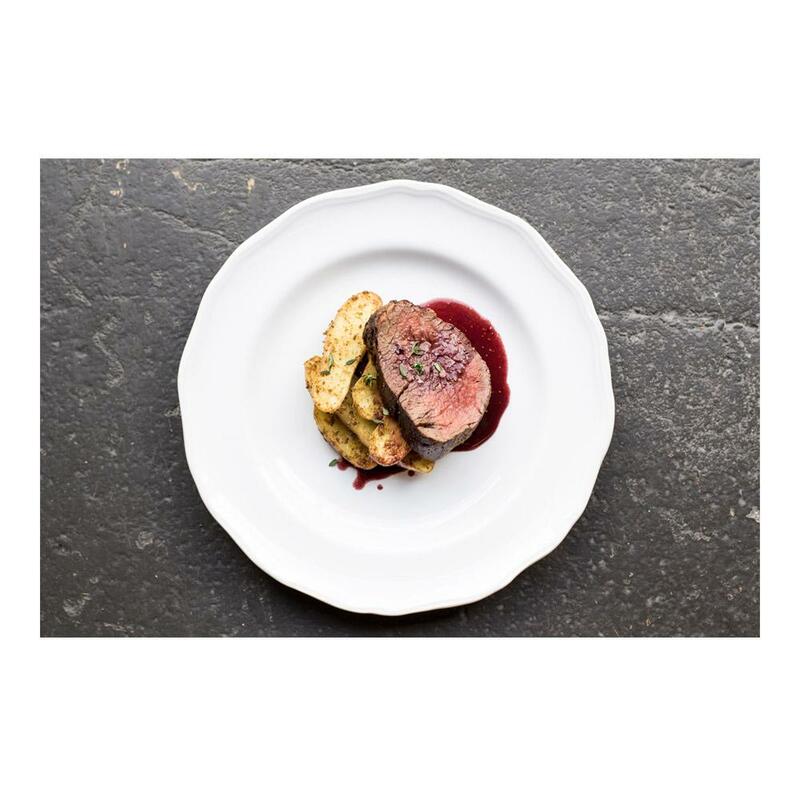 Tenderloins pair well with sauces, particularly those involving red wine, mushrooms, pan drippings, shallots, black pepper, cream or butter. Larger cuts of beef (like whole tenderloins) are best roasted with a probe thermometer, which allows you to remove them from the oven at exactly the right time. Because they will continue to cook from residual heat, you should remove them from the oven 5-10 degrees before your desired finished temperature. They also should be rested (on a clean plate covered in foil) for 10-15 minutes prior to serving or cutting, so the flavorful juices are less likely to run out. If using steaks, rest for only 5 minutes.